Super Sunday was the official bank holiday party night for the majority of people. (Myself included.) For this occasion, I upped the playing field when it came to my choice of clothing. Usually on a Sunday I tend to opt for my leathers as it is a more relaxed and low-key evening. However, this weekend everyone was out in full swing. I decided to wear my pretty butterfly skirt from H&M. The length and colour of my new slouchy bag worked perfectly. It added a little sunshine into my look. 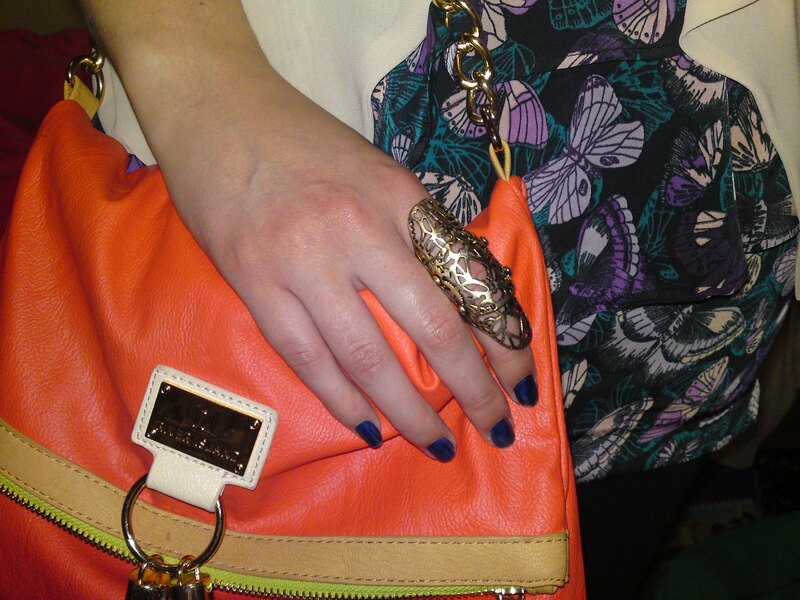 You can also see in the picture my amazing new ring that I bought in River Island. 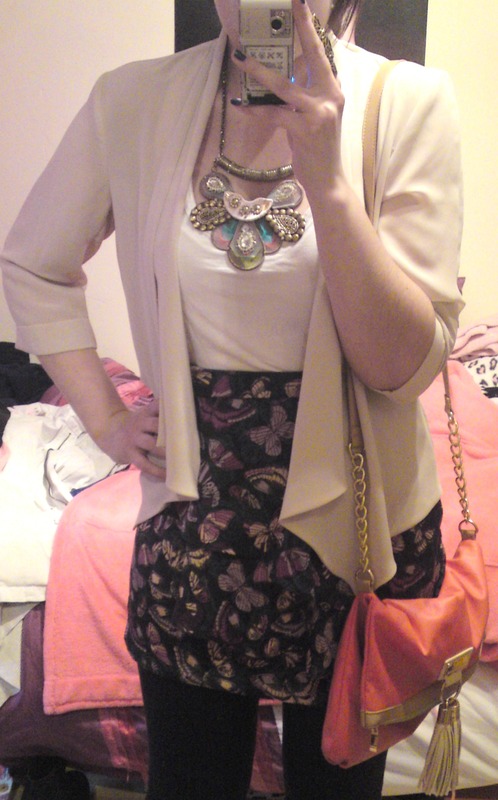 I paired my skirt with a plain white vest and a cream waterfall blazer. 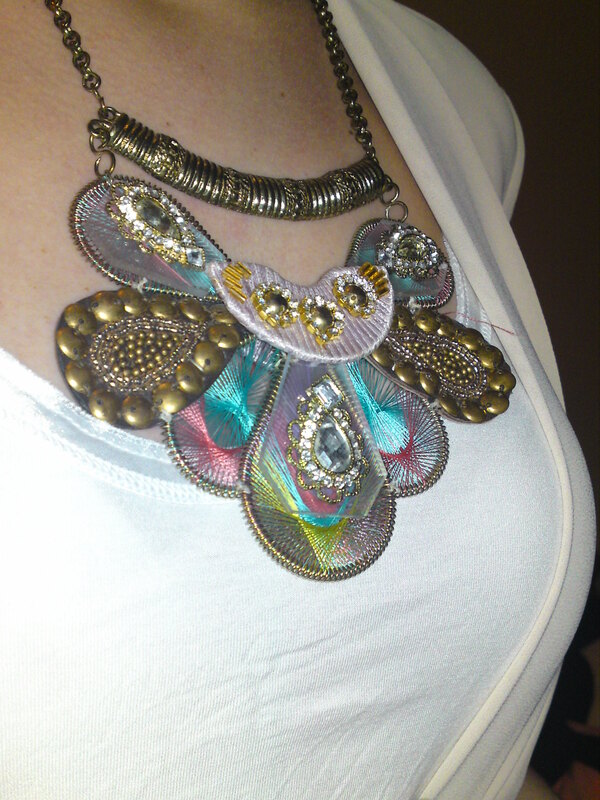 To top it off, I added in my colourful statement necklace from Accessorize. It was such a comfortable outfit to wear but still added some glamour to my evening. Hope you all have a brilliant bank holiday weekend. When is the next one? (I miss partying on a Sunday!) Have fun!